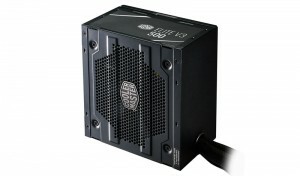 The new Elite V3 power supply is a dependable choice for the everyday PC user. The included 120mm quiet fan, PCI-E support, and global 3 year warranty delivers a PSU that provides function and resilience you can count on. It's the perfect option for users and applications that don't require 80 Plus efficiency to get the job done. This power supply has been engineered for reliability with a focus on reducing random shutdowns in brownout conditions when power sources are unstable. 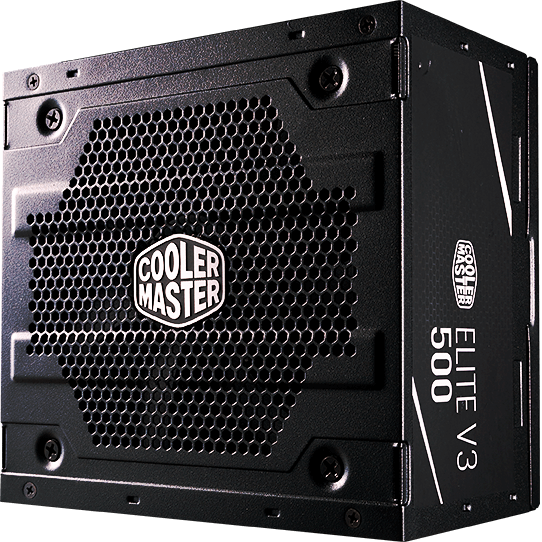 The Elite V3 is a complete solution delivering powerful stability in a small package for an affordable price. The efficiency of your power supply unit is important because it directly affects you system's performance and your power bill. The efficiency rating does not reflect the quality or reliability of a PSU. It only reflects the unit's ability to move power from the wall to your components. The higher a PSU's efficiency is, the lower the total amount of power it needs to power your system. The new Elite V3 series has a guaranteed typical efficiency of 75%. A power supply unit works by taking power directly from the wall or other fixed power source, converting it to the correct output required by the connected components, and then distributing that power to said components. If any part of this process is interrupted or executed poorly, the connected components and the PSU itself could be damaged. Active PFC uses a circuit to correct power factor leading to reduced total harmonics, corrected AC input voltage, and increased overall efficiency output. The new Elite V3 has a maximum operating temperature of 40°C. That's at the level of many 80 Plus certified power supply units on the market today. This higher operating temperature allows you to power your system safely in warmer environments without having to worry about your system overheating or shutting off unexpectedly. The higher heat resistance also reduces temperature based wear, increasing the lifespan of the unit by a noticeable amount. The Elite V3 can take whatever conditions you throw at it. It was built to perform consistently whether it's in high altitudes above 5000 meters or in super humid settings like a tropical rain forest. You can trust this power supply unit to perform reliably and consistently in just about any place you would actually need to use a PC and many places that you wouldn't.